A Short Film from an NYC based film production team Bedlam And Delirium BAD films LLC. A story about a man in his mid 20's going through self identification crisis. Coming out soon. The the youtube and vimeo near you. 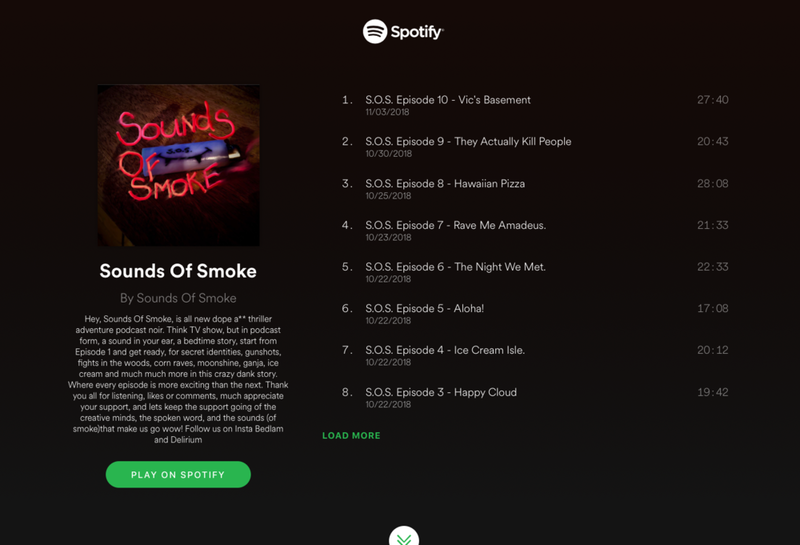 Sounds of Smoke is now on Spotify! Hey GUYS, LADIES AND FABULOUS PEOPLE!!!! If you are in the mood for an adventure please check out Anna's brand new fiction podcast SOUNDS OF SMOKE, that is a one crazy adventure ride of murder and mystery as Vick and Lola's lives get intertwined and must follow the clues as their are trying to solve the mystery. Episode 7 is out now on SoundCloud and iTunes!!! - "The adventure continues as Vic and Lola decide to move their date to a rave in a cornfield, what can ever go wrong at a rave in a cornfield??!! " To follow their adventure through the wanderlust of the dark underground world subscribe to the full podcast on here iTunes or on here for SoundCloud.